What Makes Her Tick. Women in the Outdoors. Does this story sound anything like something that has happened in your house? Having been an avid sportsman my entire life I love nothing more than getting to spend time in the outdoors with my beautiful bride. I don’t mind spending hours on end out in the cold rain and snow for that small chance of just getting to spot a trophy buck, or the hours spent before season prepping food plots in the blistering summer heat. My wife on the other hand doesn’t always seen to find those thing near as enjoyable as I do. It’s not that she doesn’t enjoy time spent in the woods, she’s just more of a fair weather occasional type of hunter. So what can a man do if he wants nothing more than to have a wonderfully successful marriage and still spend his free time in the outdoors? You just have to work at it until you find something that gets her excited the way a big buck gets you excited. In 2014 my wife and I along with a few friends attended one of Final Descent Outdoors ministry banquets. While we were having dinner my wife and her friend Jill were jokingly talking about bidding on a 3 day fishing trip in Pensacola Beach, Florida. The two ladies said that if they bought the fishing trip they could spend time getting a tan on the beach while us guys went fishing. Well as the auction rolled along the Pensacola trip came up for bids and I started raising my hand. My wife started to get a little anxious as the price crept up but in the end my hand was the last one in the air. We had won the auction and I was as excited as I could be because I had never been saltwater fishing but had always wanted to try. A few months later we found ourselves in a condo on the beach in beautiful Pensacola Beach, Florida. By this time my wife, Dejay, had decided that her and Jill should join us guys on the fishing trip. This turned out to be one of the best things that could have ever happened in the world of me trying to get my wife involved in my hunting and fishing lifestyle. We spent two days out on the Gulf of Mexico fishing for many different species of fish. That trip got my wife forever hooked on saltwater fishing. She had never been on a fishing trip that was so fast paced and action packed. Saltwater fish put up such and awesome fight. Fast forward a couple years and several more trips to Florida. By this time my wife had been on several fishing trips and had caught many saltwater species including amber jack, trigger fish, red snapper, mahi mahi, bonito, spanish mackerel, and even a black tip shark. In August of 2017 Brad Clay of Final Descent Outdoors invited DeJay and I on an alligator hunting trip in central Florida. He needed an extra person or two to run camera for himself and famed huntress Kendall Jones. The trip was going to include more than just alligator hunting. We would also have a night of bowfishing for stingrays. There was no way Dejay was going to turn down the opportunity to spend time in Florida. She knew that we would be spending time on the coast which meant that we might be able to squeeze in a fishing trip. Alligator hunting didn’t necessarily excite her but she was intrigued by the idea of bowfishing for stingrays. Once the magical night finally arrived DeJay was a little unsure of her ability to actually shoot a fish with a archery equipment. After many misses and a few very close calls DeJay finally connected with her first stingray. She let out a big scream of excitement and did a little dance on the deck of the boat. She was hooked instantly. She spent the rest of the night arrowing fish after fish and the excitement never left. I was beside myself that my wife was having so much fun. I knew instantly that this would forever be an activity that my wife and I could spend many hours enjoying together in the outdoors. I know that my wife might not ever understand “buck fever” and what it does to me in the fall. She might night ever be interested in spending eight hours on a bass boat only to catch four or five bass, but I do know that I found something that makes her tick. You can bet that I will be spending some of my hard earned money on her a bowfishing rig so we can spend those valuable hours together on the water. These are the thing thats can make a good marriage a great marriage. I shouldn’t expect her to spend so many hours doing things with me just to make me happy. Marriage is about coming together and finding things that we can enjoy together. 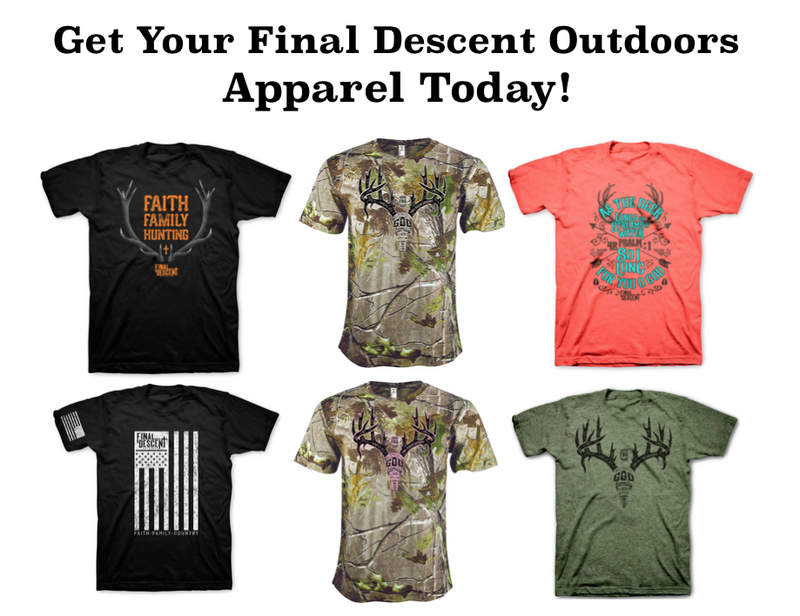 Daniel Arms is a pro staffer for Final Descent Outdoors. Daniel is happily married and a father of three (Weston, EmmaLee, and Houston). Daniel is an Oklahoma Highway Patrolman and active in his local church in Sulphur, OK. Daniel is an avid outdoorsman and when he isn't working, spending time with his family, or hunting he is making Youtube videos and gardening.